When you decide on the Renaissance Boca Raton Hotel for your Bar Mitzvah, our planners will ensure it's a dream come true by making everything perfectly yours. Every flower. Every morsel. Every song. Every moment. Because the perfect Bar Mitzvah means different things to different people. But they all want the same thing. Joy. The ever after kind. And, youll be glad to know, your childs Bar or Bat Mitzvah means the same to us. 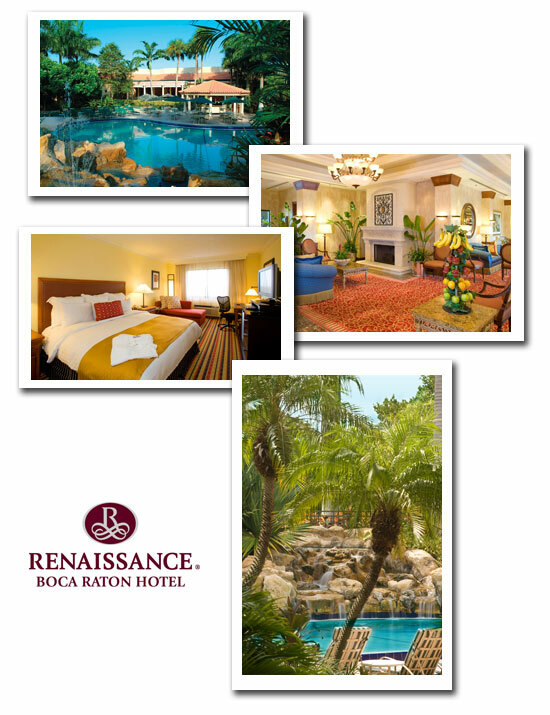 The Renaissance Boca Raton hotel offers unparalleled services that your guests will appreciate, from valet parking and spacious guestrooms to private pre-reception areas, breathtaking indoor and outdoor ceremony venues and specialty linens and chair covers, as well as many other wedding extras such as distinctively designed place cards, cake boxes and guest books. The Renaissance Boca Raton can create a day thats special for everyone. The Renaissance Boca Raton Hotel has beautiful settings,both inside and outside, to accommodate a picture perfect Wedding ceremony. Our 4,000 sq. ft. ballroom comfortably fits up to 180 people. We also offer more intimate sets for your special day. Download our floor plan and capacity charts in PDF.